Yes this post is about my travel to Alghero in March! Exactly it was March last year! 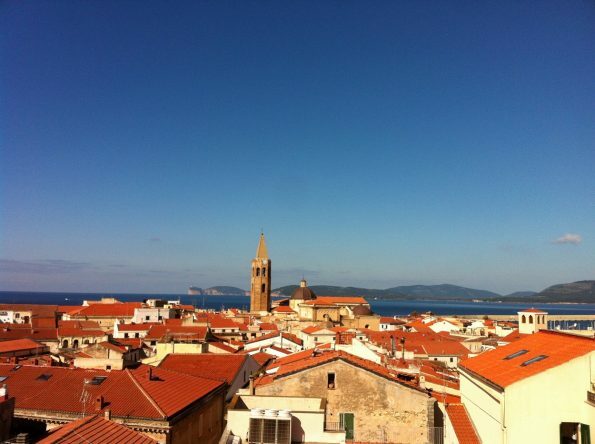 Who can resist the beauty of Alghero? That is very true, who can resist the beauty of Alghero, a beautiful place in Sardinia, Italy? 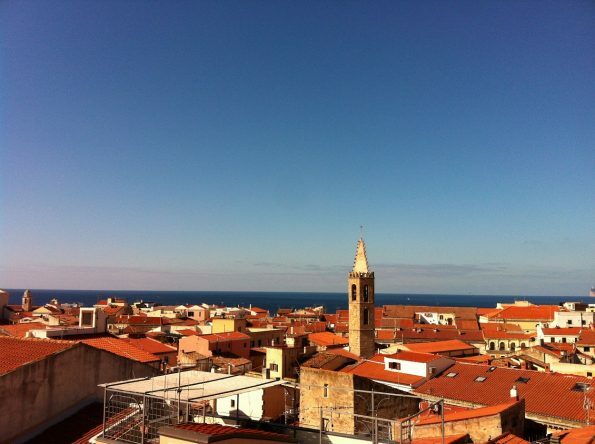 Alghero in winter. 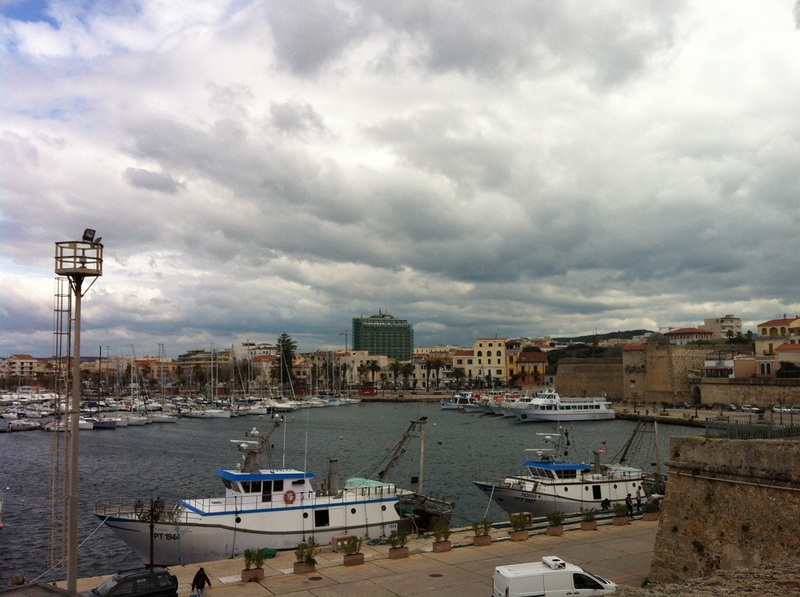 Look at the cloudy sky. 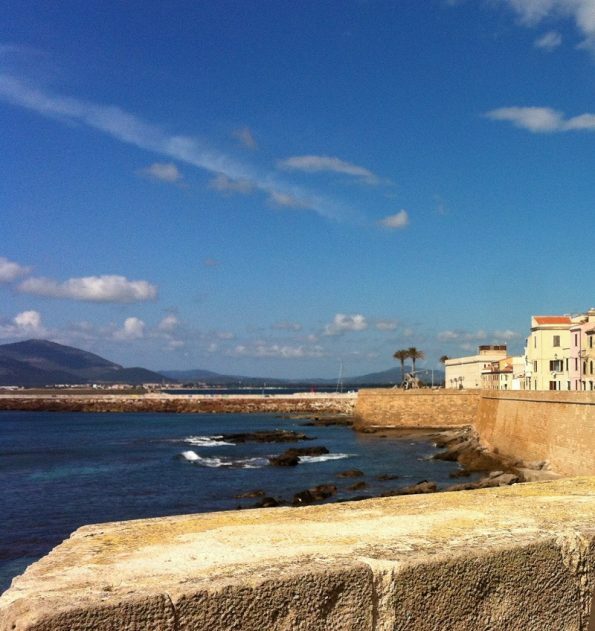 So even though it was winter, yes it was in March, Alghero still does not loose its charm. Even with jacket or jumper, Alghero is a terrific place to see in winter! Just hope the winter sun is out! It is of course too cold to swim, but if you want to walk on the beach, this is maybe the perfect time because the beach is so quiet and empty. 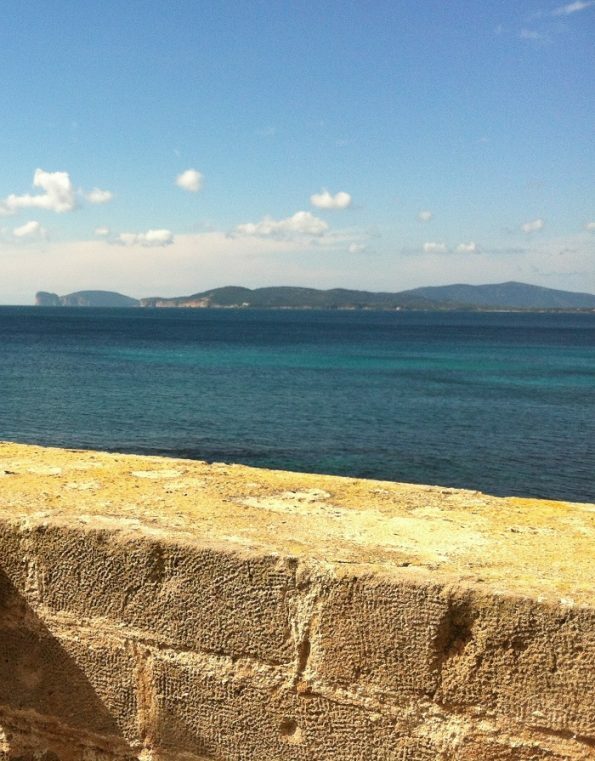 This is Maria Pia beach in Alghero. 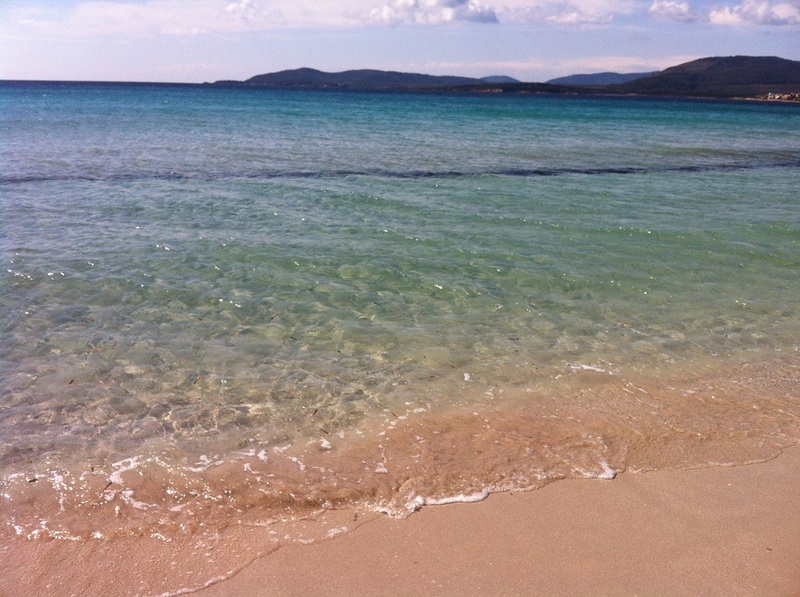 It is so pristine with clear blue water. 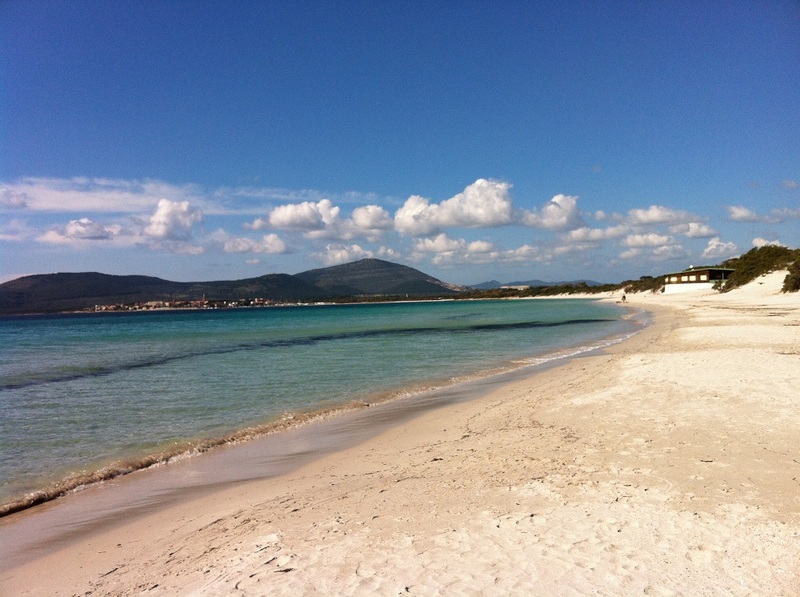 And it is covered with white sands too. 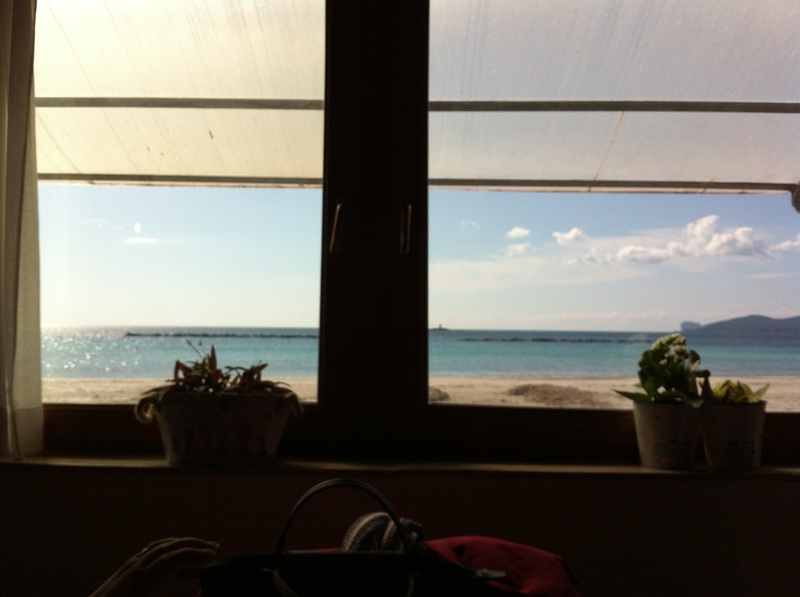 The view is fantastic! 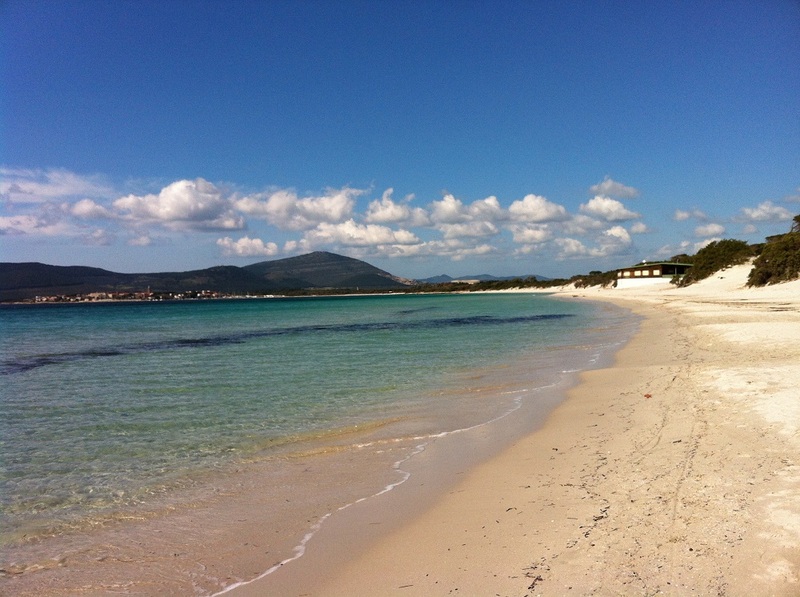 You can see mountainous Sardinia from the beach! Spiaggia di Maria Pia, a white sandy beach, you can see mountainous scenery too. 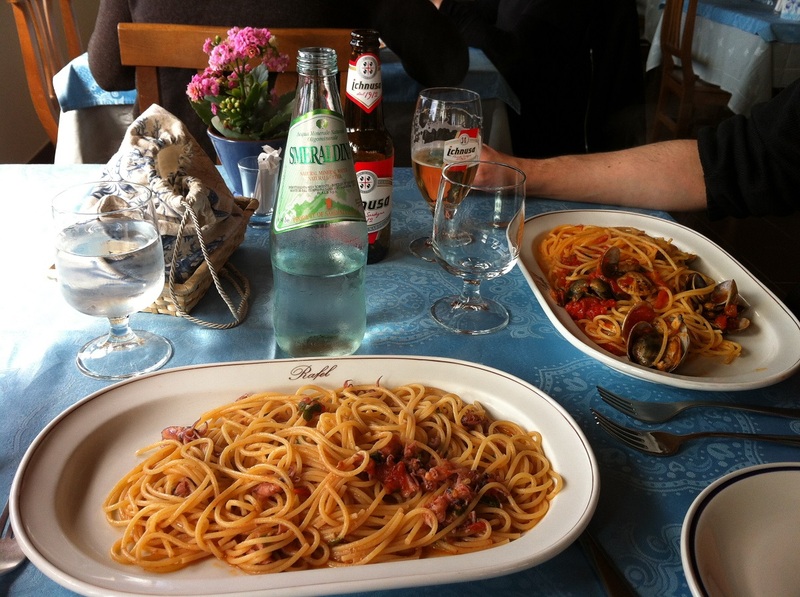 My husband and I decided to try an Italian restaurant by the sea. Amazing tasty food. 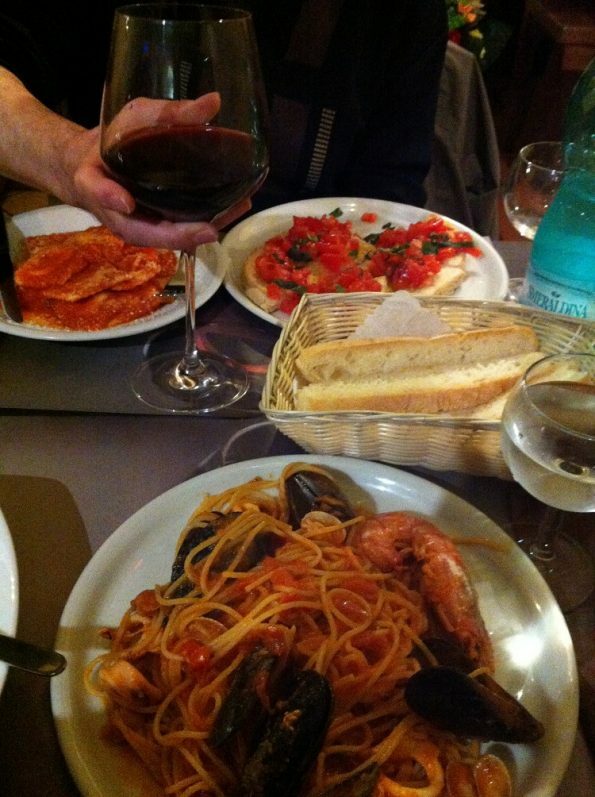 The food is fantastic, so fresh and delicious! 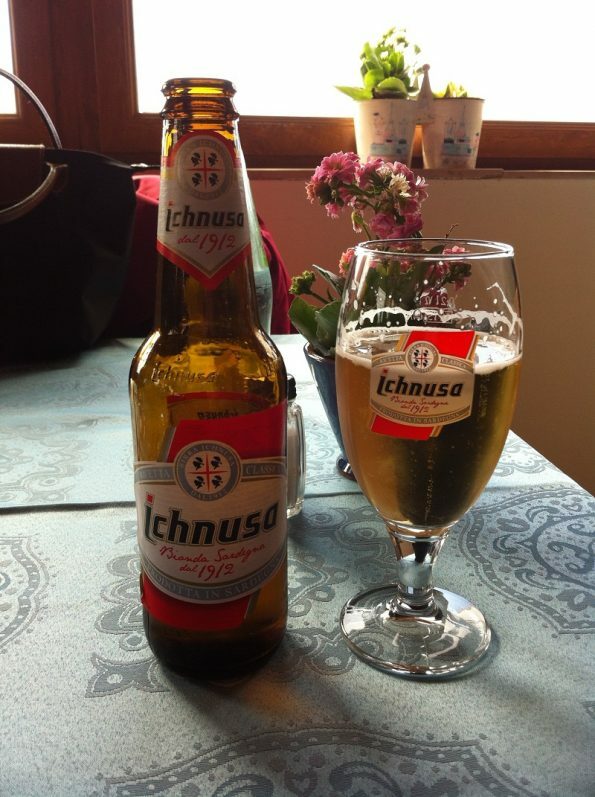 Of course with the local beer: Ichnusa. We stay in Alghero City Hotel. 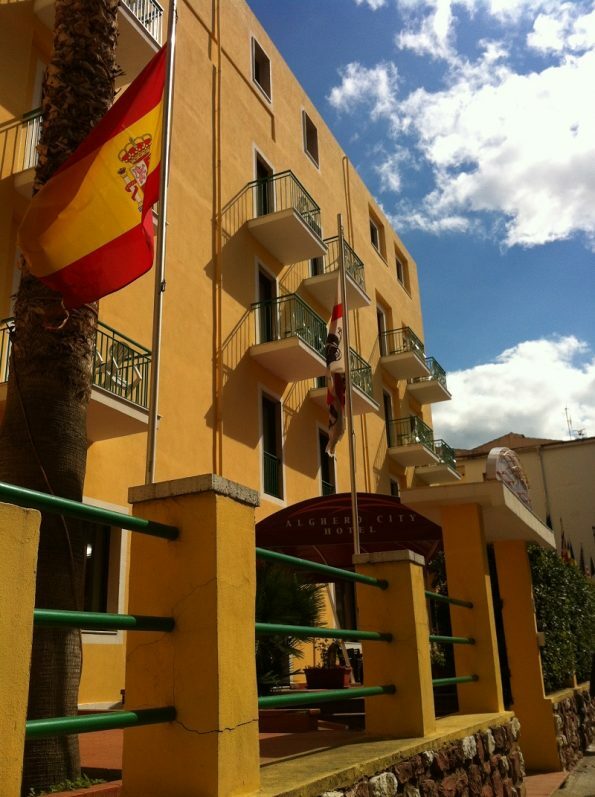 The hotel is okay, a typical standard Italian hotel. Alghero City Hotel: the Italian flag maybe on the other side. 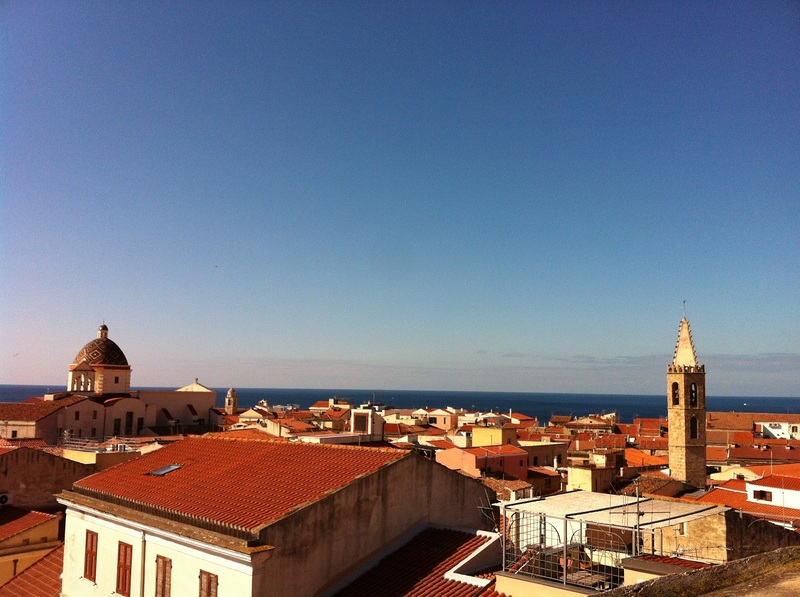 We went to Porta Terra tower, and climb up the tower until we see this panoramic view! We also went to Museo Diocesano d’Arte Sacra and we saw fantastic religious Italian antiques such as silver and statue. 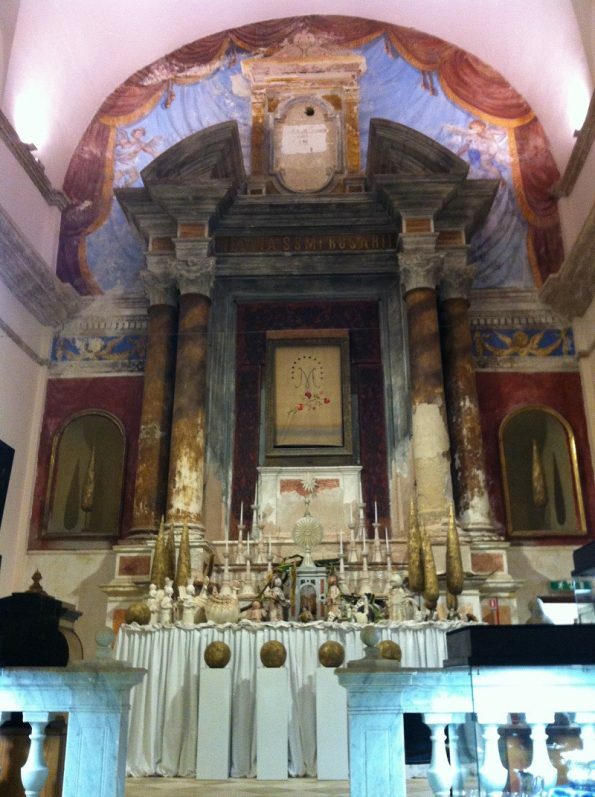 Worth to visit if you are into Italian or religious antiques. 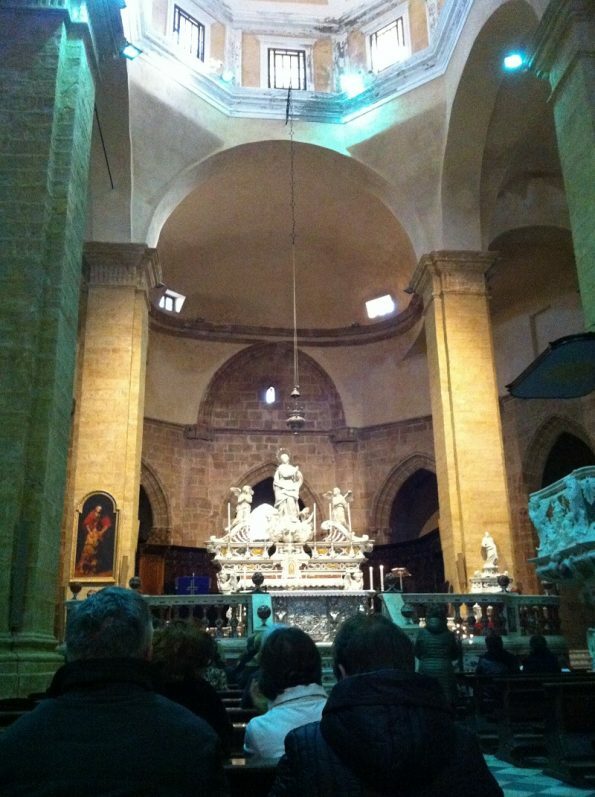 We also visit Cathedral St Mary the Immaculate or Duomo di Alghero. It is a grande Cathedral. 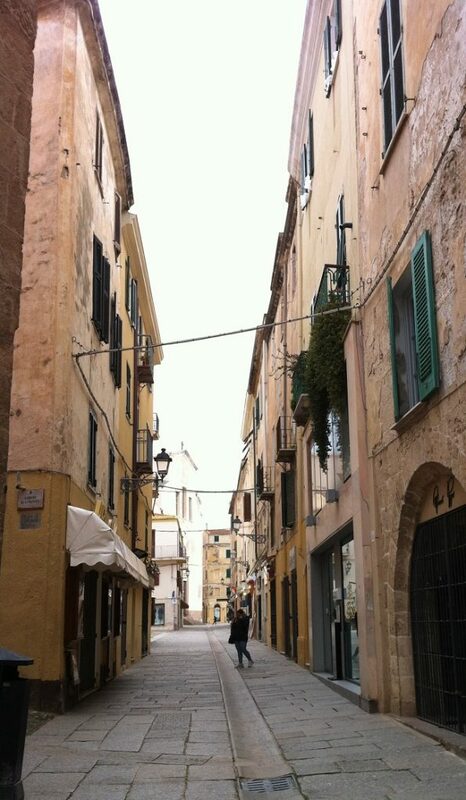 Worth to visit. 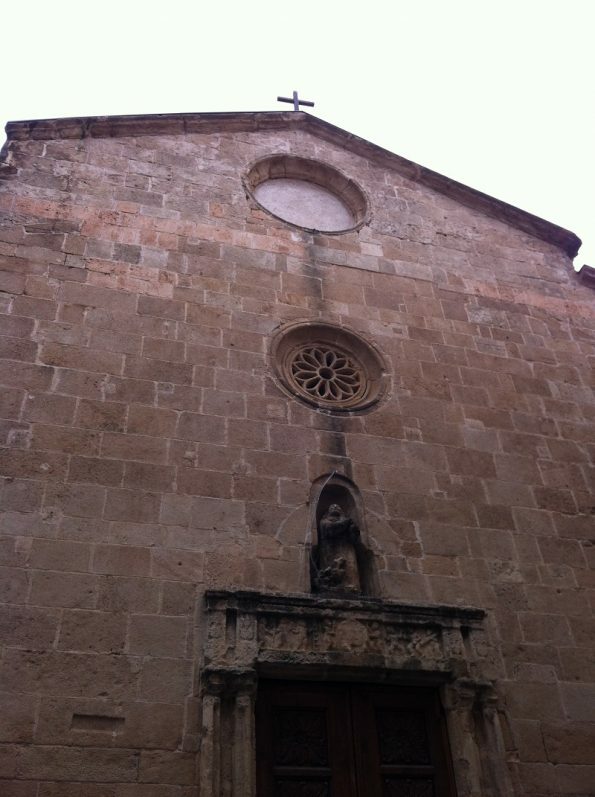 The picture below is another church in the city centre. 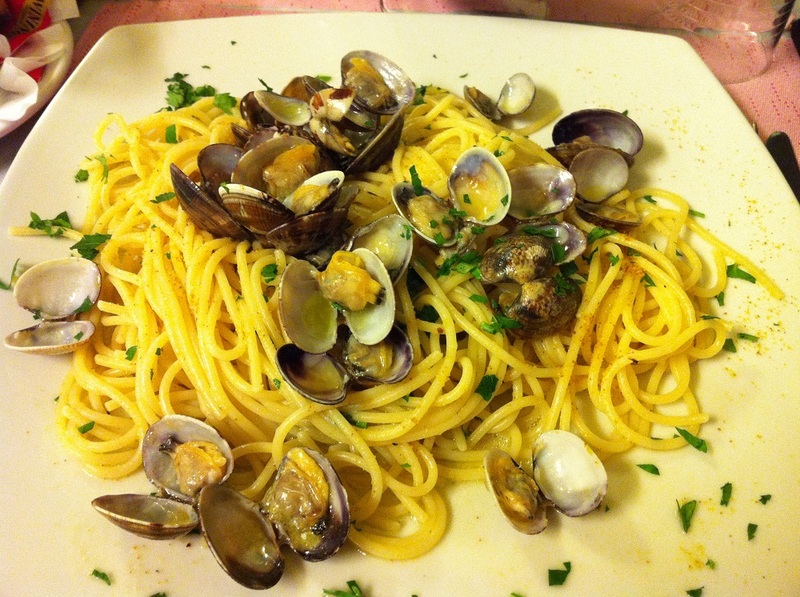 Not to forget of course the culinary Italian scene here in Alghero. Seafood at its best! Right from the Mediterranean sea. 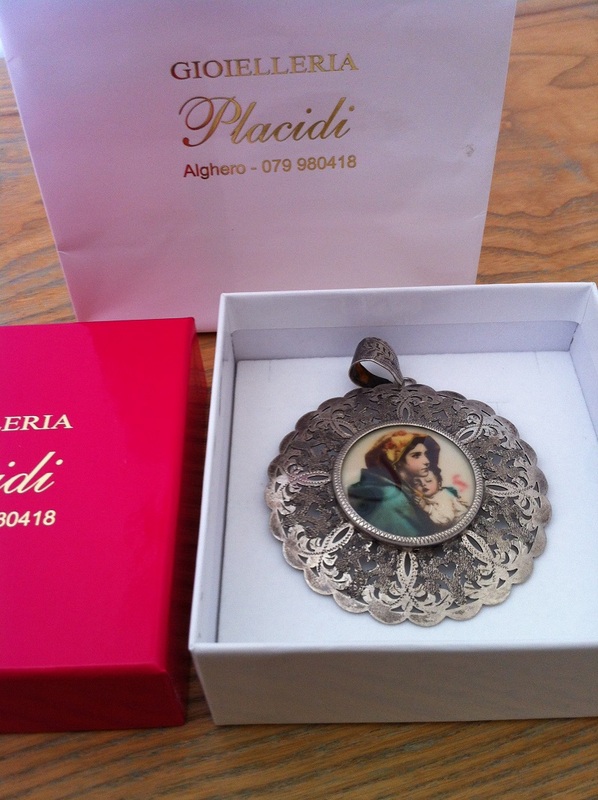 I also bought a vintage Italian silver from a local jewellery shop. Very pretty with Mary and baby Jesus picture. 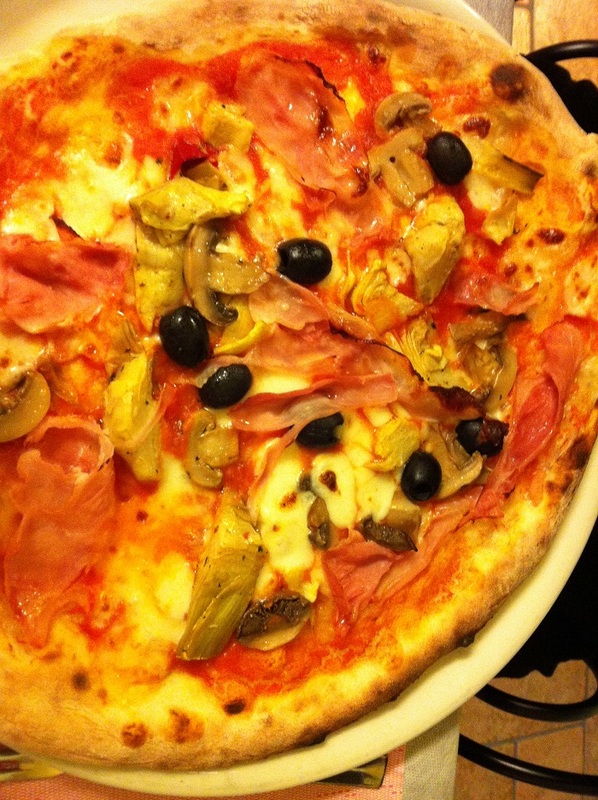 I have written about it more, please see here. 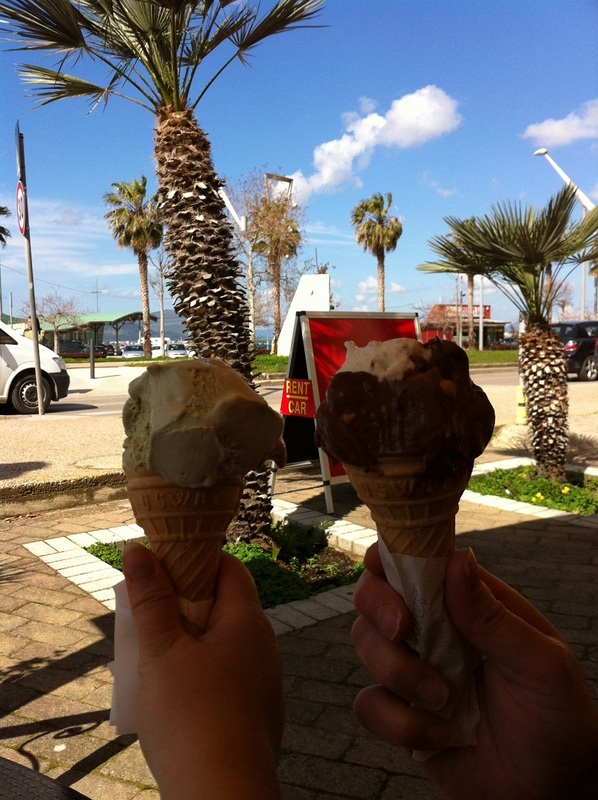 Even though it was in winter, it did not spoil our gelato craving. 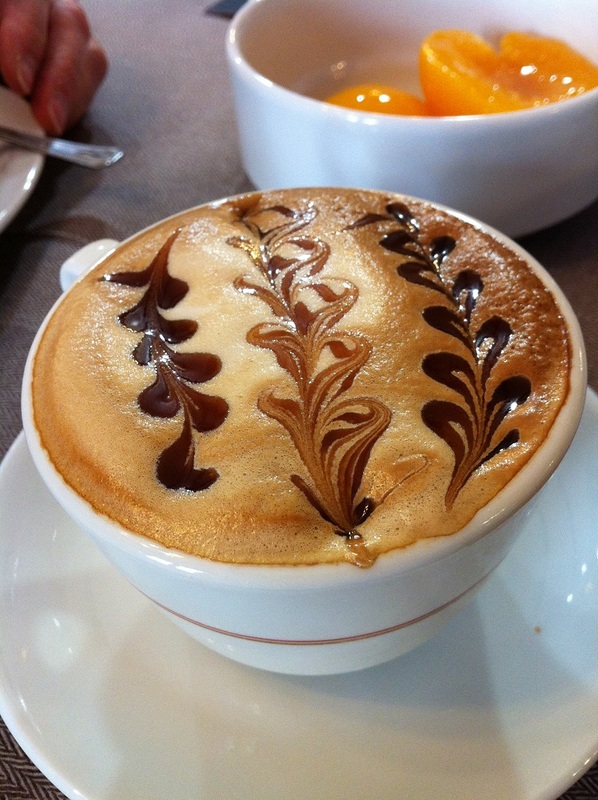 The cappuccino by the Alghero City Hotel over breakfast is also a plus point during our stay. 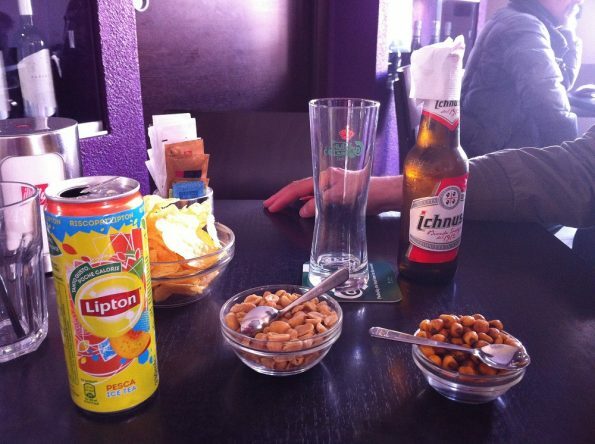 When you order drink at any cafe or bar, they seem to give you free snack! These are crips and peanuts for free! 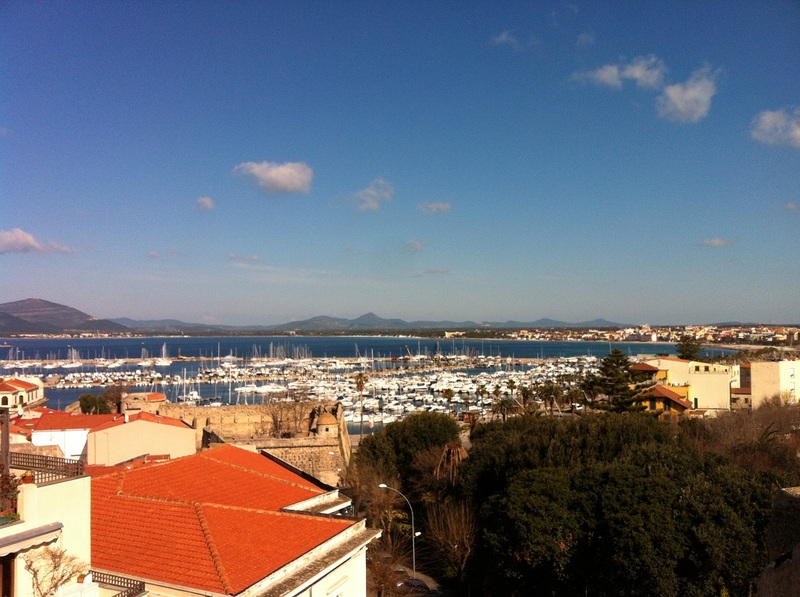 Oh Alghero… blue sky, blue sea, and blue mountains, what more can you ask for?